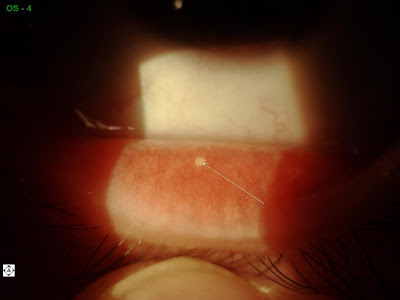 Calcium deposit on the palpebral conjunctiva. Generally doesn’t bother patients but sometimes it breaks through the conjunctiva and can feel like a foreign body in the eye. In that case it can be removed.